Within the European Union, cosmetics, toiletries and perfumery products are regulated by cosmetics Regulation (EC) 1223/2009, which replaced Directive 76/768/EEC in July 2013. The newer legislation is deliberately more robust in nature and was designed to ensure a more thorough compliance with the spirit of the regulation than seen in the past. As with the Directive, one of its key aims was to ensure that cosmetic products are not placed on the market if they are harmful to health under normal or reasonably foreseeable conditions of use. It is up to the “responsible person” – the cosmetic manufacturer, importer or distributer, or an assigned representative – to ensure that a cosmetic product undergoes a suitable safety assessment. The responsible person should guarantee that a product information file (PIF) is compiled for each cosmetic, and that this PIF includes a cosmetic product safety report (CPSR). The CPSR itself consists of Part A – Cosmetic product safety information, and Part B – Cosmetic product safety assessment. Part A should include toxicological profiles on each ingredient contained in the cosmetic product, as well as other relevant data (e.g. normal and reasonably foreseeable uses, data on exposure, and data on microbiology and stability). 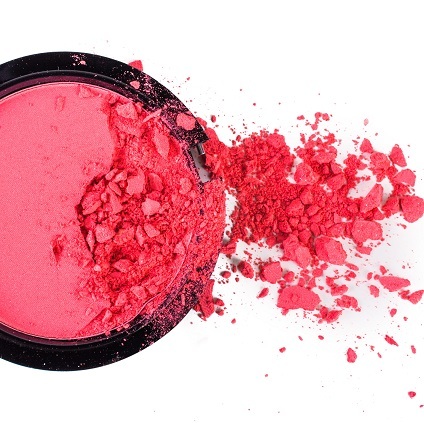 Notably, as a result of a March 2013 marketing ban, new animal data cannot be generated specifically for the safety assessment of cosmetics, or cosmetics ingredients, to be marketed in Europe. For the overall assessment of product safety, for Part B of the CPSR, critical points of departure (PoDs) such as no-observed-adverse-effect levels (NOAELs) or lowest-observed-adverse-effect levels (LOAELs) are identified from the hazard data for each ingredient and compared with relevant exposures. The resulting margin of safety (MoS) values are used to conclude on risk. The Cosmetics Regulation stipulates that this process should be performed by a suitably qualified individual “in possession of a diploma or other evidence of formal qualifications awarded on completion of a university course of theoretical and practical study in pharmacy, toxicology, medicine or a similar discipline, or a course recognised as equivalent by a Member State”. Their credentials should be provided. All of our senior and principal toxicologists are professionally registered under the UK RSB/BTS and European Registered Toxicologist (ERT) schemes, and are suitably qualified to complete both parts of the CPSR, as required by the regulation. Our CPSRs are written in accordance with the Cosmetics Regulation, using appropriate guidance from the European Commission and from the Scientific Committee on Consumer Safety’s Notes of Guidance (NoG) for the testing of cosmetics ingredients and their safety evaluation. The result is a thorough overview of the toxic potential of a cosmetic product, and a final conclusion on safety that is driven by good science and our many years of toxicological expertise. We can provide high-level input to your product safety report.